Colombo, Jan 9 (AFP) Sri Lanka Cricket said today the sport's global governing body had found no evidence of wrongdoing following allegations of match-fixing and other forms of corruption. The board said the International Cricket Council had failed to uncover evidence of graft during an investigation into explosive accusations levelled by former Sri Lankan players. SLC chief executive Ashley de Silva said ICC anti- corruption investigators visited the island in September and conducted a wide-ranging inquiry. "They do not put out statements after an inquiry, but if there is anything adverse, they would inform us. To date, they have not told us of anything (against Sri Lankan players or officials)," de Silva told reporters. There was no immediate comment from the ICC. The council's announcement in September that it had began an inquiry followed corruption allegations by former skipper Arjuna Ranatunga and ex-player and national selector Pramodya Wickremasinghe. SLC said its executive committee had directed players and staff to cooperate with the ICC's probe. Ranatunga, who captained the islanders during their 1996 World Cup win, has alleged that insider meddling cost Sri Lanka a repeat tournament crown during the 2011 final against India. Ranatunga, now a government minister, alleged that unusual changes were made to the team before the final which Sri Lanka lost by six wickets. Similar allegations of "unnatural match patterns" and queries over player selection were made by Wickremasinghe. 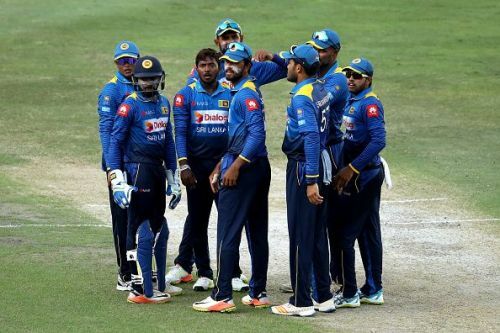 The ICC announced the probe a day after SLC said that 40 contracted national team players had asked for an immediate inquiry into "shocking" allegations by Wickremasinghe.